Why Does Plantar Fasciitis Happen? The plantar fascia is a strong band of fibrous tissue that runs from the heel along the arch of the foot, attaching to the toes. This fascial band acts as a support for the foot, providing important tension with each step. When the foot pushes off the ground, the plantar fascia is most tense, providing crucial support for the longitudinal arch of the foot. In my experience as a Physical Therapist, I’ve treated countless patients who suffer from heel pain caused by plantar fasciitis. While the best treatment for plantar fasciitis involves focused stretches and exercises, I often hear one very common question over and over. What are the best shoe inserts for plantar fasciitis? Just to clarify: I use the terms insoles and inserts interchangeably. The term insole, inserts, and arch supports are synonymous terms. Personally, I have experienced plantar fasciitis and have remedied it through exercises and stretches, as well as plantar fasciitis inserts. I fully believe that a good shoe insert for plantar fasciitis can be helpful for managing pain in the short term. So what are the best plantar fasciitis insoles? Below are the top recommendations I make in the clinic when I’m asked this all too common question. I have had a lot of success in recommending this insert to patients who suffer from plantar fasciitis. Many of my patients have ‘tried everything’ and were hesitant about these inserts. Here’s what I like best out of these inserts: they are well constructed and actually provide good support to the arch. They’re comfortable and provide quite a bit more support than the typical over the counter arch support. While they are a little more expensive than inserts you’d find at a drugstore, these inserts are getting excellent reviews on Amazon from people seeking relief from plantar fasciitis. View the ProTalus Inserts on Amazon. The top cover is designed to be replaceable and adjustable. In other words, you can actually remove the top cloth portion of the insole and trim it to fit your shoe as well as replace it when it wears down (as all cloth insoles will). 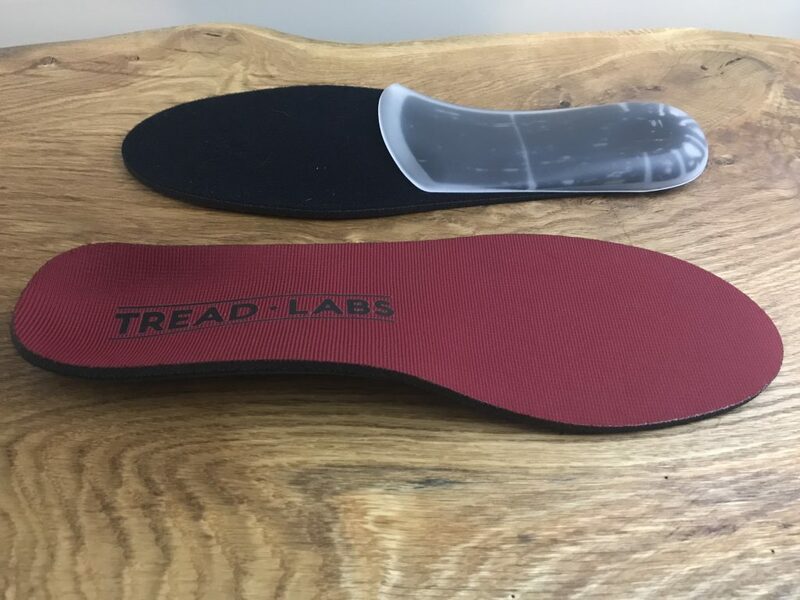 Check out the Tread Labs insoles here. I’ve personally used the ALINE Active+ insoles in my walking shoes and also the ALINE golf insoles and have found them to provide the best support on the greens. They’re firm and supportive, provide excellent heel and arch support, and actually change your alignment for the better. If you can’t tell I’m a fan of the ALINE Active+ insoles and recommend that you give them a try. At the $100 price point, they’re not a cheap insole, but your foot doesn’t need another cheap insole. 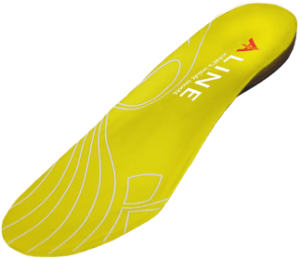 Click here to read my full ALINE Insole Review. At around $25, the Powerstep is a very affordable option for a quality shoe insert. I like the semi rigid arch support that allows for flexibility while providing a strong cradle for those with high arches. Like any insert, it’s possible to experience decreased support over time. 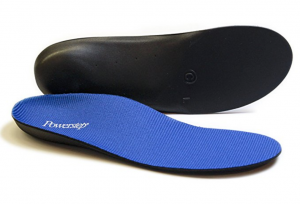 Many reviewers of the Powerstep insert suggested purchasing multiple insoles to rotate on a weekly or daily basis. What I find most interesting are the 2,200+ 5 Star review for this insert on Amazon. People are really finding this insert to be helpful in managing their plantar fasciitis symptoms. The Superfeet green insoles are another affordable option for people suffering from plantar fasciitis. You’ll find multiple options from Superfeet, but the green insoles have the deepest heel cup, which is often more comfortable for those with plantar fasciitis. The reviews of this insert are extremely high, receiving over 5,000 4.5 stars on Amazon. 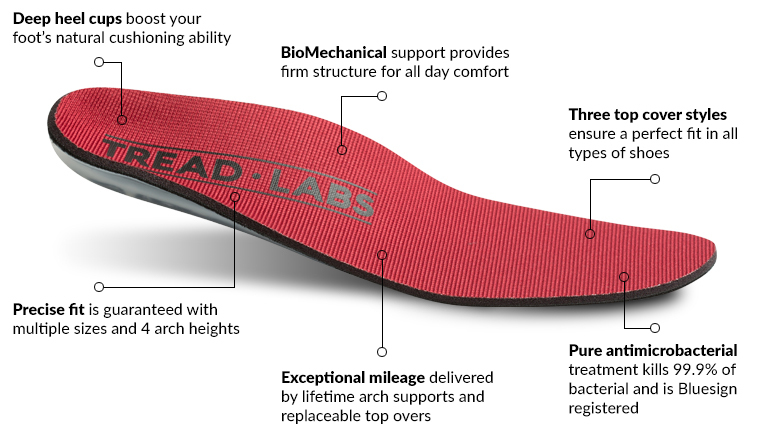 It’s hard to argue with so many people who find this insole to provide relief. I think the Superfeet inserts can be a great option for someone who has multiple styles of shoes and prefers a slightly different type of support depending on the size and shape of the shoe. Will an Insert Cure Plantar Fasciitis? 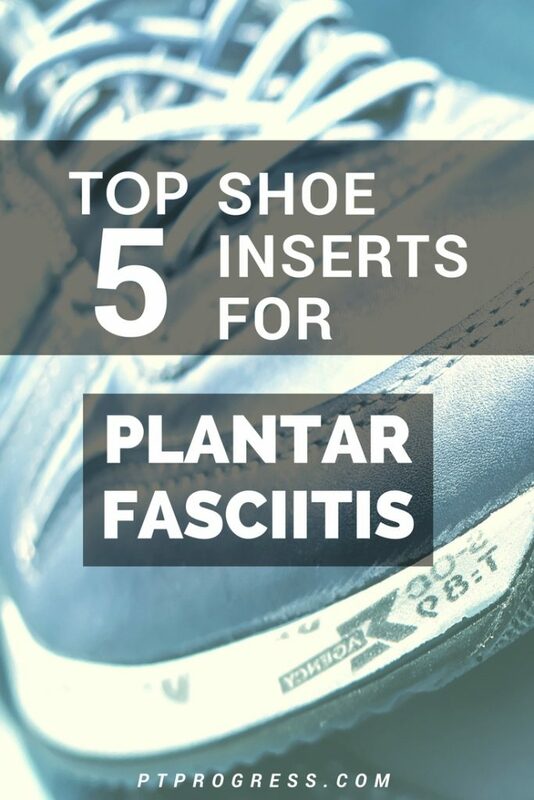 Choosing one of the above shoe inserts for plantar fasciitis can really help in reducing pain. But if you have horrible shoes, you should really consider upgrading to a better shoe. Are My Shoes Causing Plantar Fasciitis? It’s quite possible that a new shoe or an ill-fitting shoe may be causing heel pain or symptoms of plantar fasciitis. Even a brand new pair of strong, supportive shoes can be problematic if you don’t give yourself time to adjust appropriately. I’ve seen so many people run out to buy the newest, most recommended shoes for heel pain and start wearing them immediately the next day for 8 hours. Ouch! Your feet are already unhappy and you’ve just introduced a new environment that may be causing extra stress to areas that aren’t used to it yet. Does the arch feel supportive? Your arch should feel like it’s getting the support it deserves in your shoe. If it’s ill fitting and feels uncomfortable, it’s not for you. Is there heel support on the shoe? Look at the bottom of two pairs of shoes and observe the heels of each shoe. There can be as much of a ½ inch difference between heel height on athletic shoes. From what we know about footwear and heel pain, providing a slightly raised heel can help to ‘give in’ to the calf and relieve some of the strain that is being put on the heel and plantar fascia. A soft cushion and/or a removable insert. Regardless of the brand or style of shoe you decide to buy, it needs to be comfortable. Just because it’s the newest model, or has the latest technology or arch support, doesn’t mean it will be comfortable to you. I like recommending ASICS Gel Nimbus shoes because they provide an unbelievable amount of support that is comfortable for most feet types. If you decide on another brand or style, make sure to see if the inserts can be removed as you may consider adding an plantar fasciitis insert down the road.